Keep your friends and family safe by following the law. Have you seen these yellow stickers or posters around your community? These are part of a sticker shock project to raise awareness about the consequences of underage drinking and how we all play a role in protecting our friends and family. Older friends, siblings, and relatives other than parents are the primary sources of alcohol among high school youth! Visit the CDC’s website for information on the consequences of underage drinking. More on the project: Teams of trained high school youth, under the supervision of adult volunteers and in partnership with licensed alcohol retailers, are placing brightly colored stickers on alcohol beverages that appeal to youth. The message is geared towards adult buyers to dissuade them from purchasing alcohol for, or providing it to, underage youth. 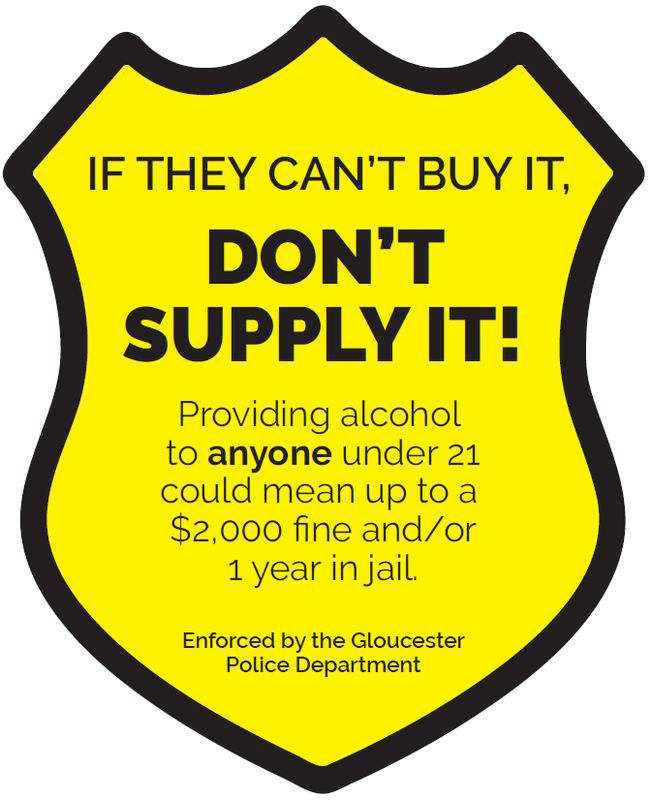 The stickers will be a component of a broader education and awareness prevention campaign about the issue and the harms of underage drinking. 1. Average of 2017 Gloucester Youth Health Survey, 2017 Beverly Youth Health Survey, and 2016 Manchester-Essex Youth Health Survey. 2. Naeger, S. Emergency department visits involving underage alcohol use: 2010 to 2013. The CBHSQ Report: May 16, 2017. Center for Behavioral Health Statistics and Quality, Substance Abuse and Mental Health Services Administration, Rockville, MD; 2017.